South Korea's food and drug watchdog said Monday it has filed a response to Philip Morris Korea Inc.'s lawsuit over the disclosure of information on its research on harmful substances found in alternative tobacco products. The Ministry of Food and Drug Safety said it has selected a local law firm to prepare for a legal battle with Philip Morris after filing a statement to the Seoul Administrative Court on Saturday. The ministry and the local unit of global tobacco giant Philip Morris are expected to engage in a fierce legal battle once the court sets a hearing schedule. The lawsuit came after the ministry said in June that five cancer-causing substances were found in heat-not-burn tobacco products sold in the local market, with the level of tar detected in some of them exceeding that of conventional cigarettes. 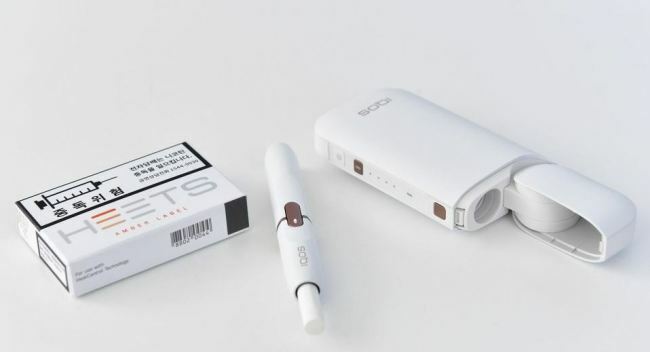 The ministry made the announcement after investigating Philip Morris' IQOS, British American Tobacco's Glo and lil from leading South Korean cigarette maker KT&G Corp.
Four months later, Philip Morris sued the ministry for declining its request to provide relevant information on its research results, including the method of analysis and the experimental data. Philip Morris has claimed that its new tobacco product provides lower levels of harmful compounds than conventional ones and that the measurement of tar is an inappropriate standard to analyze the health impact of the new heat-not-burn products, whose popularity has been growing fast here.